Heritage Park is managed by the Heritage Park Rhododendron Charitable Trust and is maintained by a team of volunteers. Wonderful support also comes from members of Friends of Heritage Park, established in 2006. 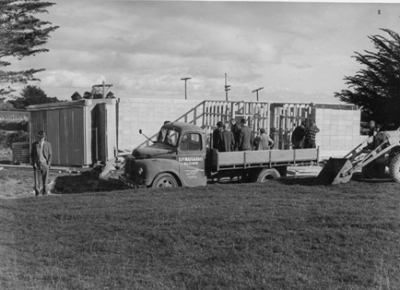 Our story begins with the formation of the New Zealand Rhododendron Association (NZRA) in 1944 at Massey College, Palmerston North. `to act as a common meeting ground for rhododendron enthusiasts; and to encourage the cultivation, the study and improvement of rhododendrons by such means as the Association shall from time to time see fit’. 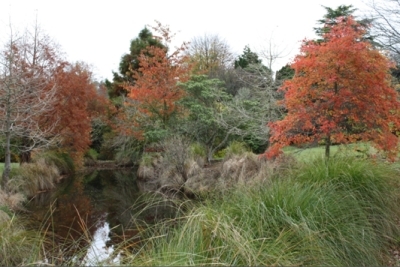 Propagating and hybridising facilities developed by Massey College and the NZRA progressed well for a number of years until lack of space and the periodic flooding of rhododendron stock beds, necessitated finding a new home for this collection. 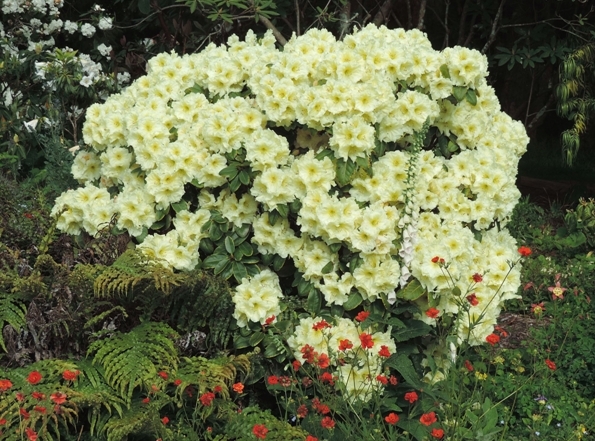 Dr Yeates, an NZRA foundation member, had been growing lilies at Kimbolton and recommended that the rich free draining soil, the altitude and the sparkling climate, would be ideal for growing rhododendron. 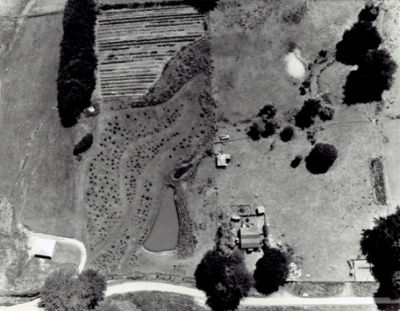 In 1969, 4.5 hectares (11acres) were purchased and this was to become known as the garden of the NZRA. Due to lack of rhododendrons available in nurseries, the main purpose of the garden was to continue to propagate rhododendrons for NZRA members. The collection continued to grow with plant material sourced from seed collected in the wild by plant hunters, from imported plants sent from the large country estates in England and by New Zealand enthusiasts breeding new hybrids to suit our conditions. 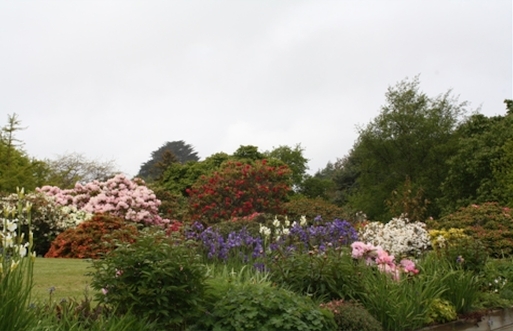 The garden was very ably managed by a series of mainly local committees, until in 2006 the Heritage Park Rhododendron Charitable Trust was formed to assume the ownership and management from the NZ Rhododendron Association. Heritage Park is now operated by a charitable trust and is maintained by volunteers from around the central/lower North Island called Friends of Heritage Park. The Trust and Friends are dedicated to presenting to the New Zealand public over 2000 rhododendron species and hybrids, as well as a large collection of azaleas. 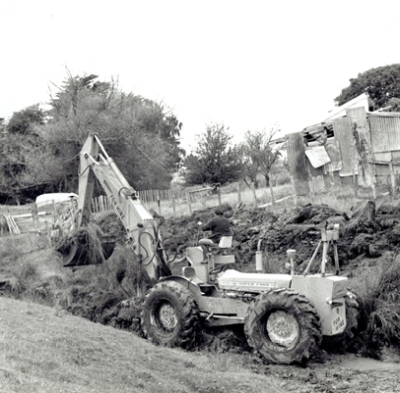 The development of Heritage Park from its early beginnings in 1969, to the present day, has resulted in a wonderful collection of rhododendrons of national importance being established. Complementing the rhododendrons are attractively landscaped lawns with specimen trees, shrubs, ponds and companion plantings, providing an attractive garden for public recreation. The park is very much part of the local Kimbolton community and is used for quiet walks, meetings, family gatherings, weddings and celebrations. Many rhododendron species are now endangered in the wild, due to deforestation, population growth and climate change. Heritage Park has an important conservation role to play, to preserve endangered plants so future generations can appreciate and enjoy this special garden. Help support Heritage Park by becoming a Friend.